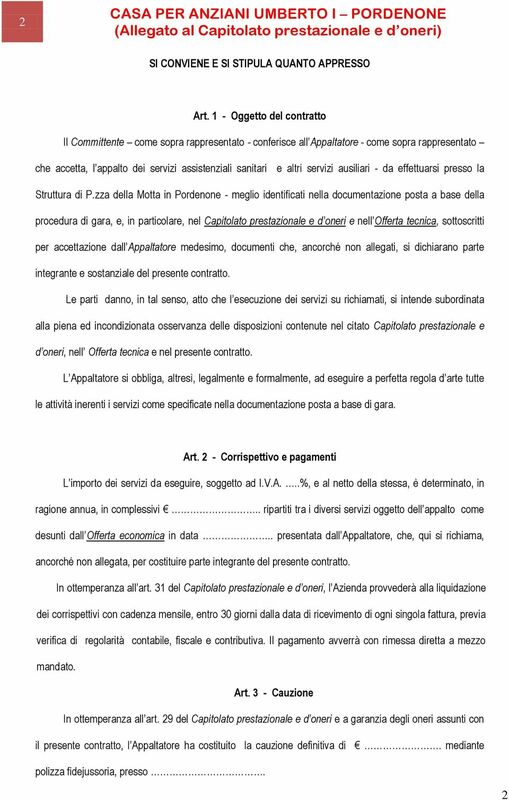 Download "SCHEMA CONTRATTO DI APPALTO SERVIZI ASSISTENZIALI SANITARI E ALTRI SERVIZI AUSILIARI"
CONSORZIO ISONTINO SERVIZI INTEGRATI C.I.S.I. 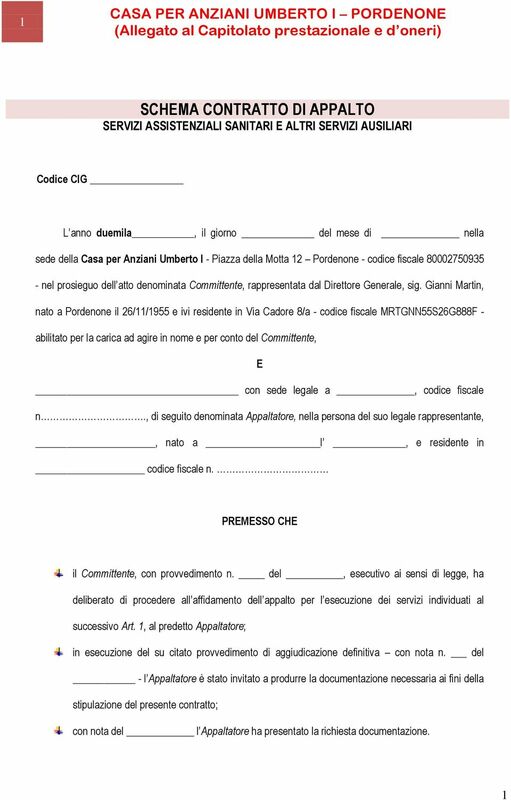 CONSORZIO ISONTINO SERVIZI INTEGRATI C.I.S.I. 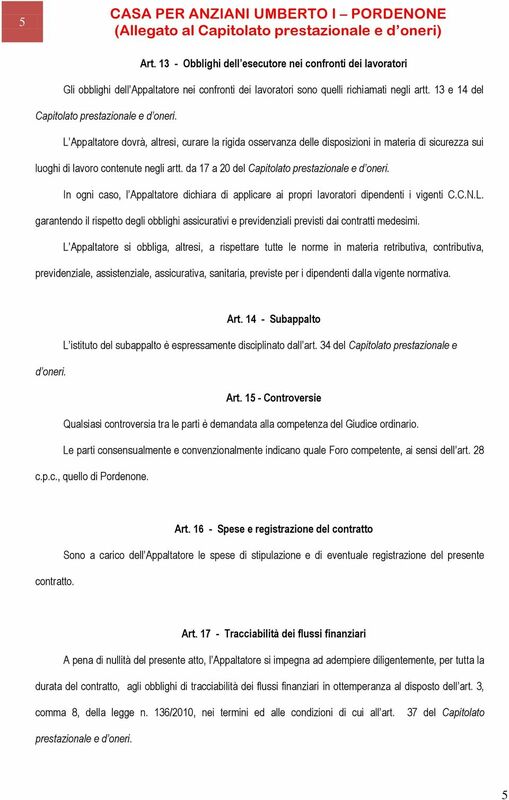 CONTRATTO DI APPALTO DEI SERVIZI ED INTERVENTI INERENTI LA GESTIONE DELLA COMUNITA ALLOGGIO PER DISABILI DI SAN CANZIAN D ISONZO FZ. BEGLIANO - PERIODO 01.02.2015-31.01.2018.